We’re a team of experienced millwrights that get to craft beautiful things, like custom wood tops. And we get to live near the Connecticut River, and meet interesting people every day. We love sharing what we know, learning new things, and especially discovering new wood timbers, old or new, with fascinating grain figuring and coloring. Wood is Nature’s gift that keeps on giving with its strength, versatility, workability, beauty, and in its role as source for reflection and calm. We love being able to share that with customers, and see their interest grow during the selection process. WHAT MAKES US SO POPULAR AND TRUSTED? NEWT (formerly NEW Contertops) has a long history of collaborating and delivering great creations. We offer the widest range of wood species available (including domestic, foreign, tropical, reclaimed and rare woods). Our proven sealing techniques preserve the beauty, protect the material, and make clean-up easy. And…we love what we do. We especially love finding unique ‘woodscapes’ for our clients: discerning architects, designers, home and business owners. Sal Scurto is the son of an accountant from Meriden who loved woodworking so much that he built nearly every piece of furniture in their home, and sold pieces on commission and consignment. Sal inherited that interest, plus his collection of antique tools, but became a US History High School teacher. Seeking more opportunity, Sal became a salesman for Connecticut Plywood and one day saw a client building a kitchen countertop. He got hooked and joined the company in sales and installation, hoping for partnership, but had to go out on his own to pursue his creative, independent dreams. Sal started New England Wood Countertops in 1997 and learned more natural finishing techniques to differentiate his company. The rest is history: 20 years later, Sal is still consulting with NEWT and enjoying woodwork as much as ever. And he still can’t resist a nice stretch of wood grain. 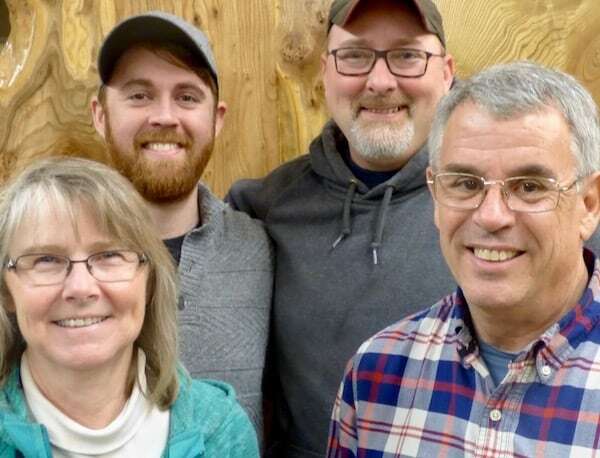 From lower left: Cindy and Ken Strout, Jeff Jones (left company), and Alex Grant. We’re long-time local folks that make tops happen, with decades of experience in woodworking and customer service. We experiment to learn new tricks (no old dogs here!) for making our state-of-the art tops the best they can be. Ken’s father, a dairyman, left Maine to start a family in tamer lands. Ken liked wood carving and building, worked on projects at home with his kids, and became a Rex Lumber foreman. 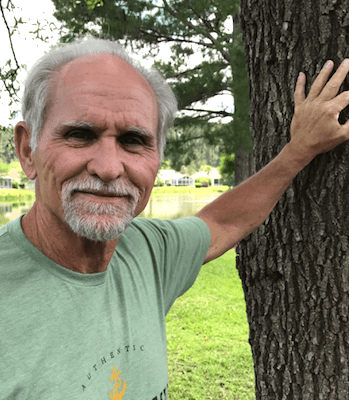 He soon realized that creating with wood was his passion, and with insight, saw a need for high quality, custom made wood trim: arches, mouldings, casing, baseboards, wainscoting and more. In the 70’s, he milled in his basement for local contractors, and soon built a large shed in his backyard to expand production for his growing clientele. Ken moved his operation to a nearby former tobacco plant and created millwork for the finest houses and businesses in the region. He then expanded into a new building and started integrating his work with Sal, who occupied the same space. And thus is NEWT!